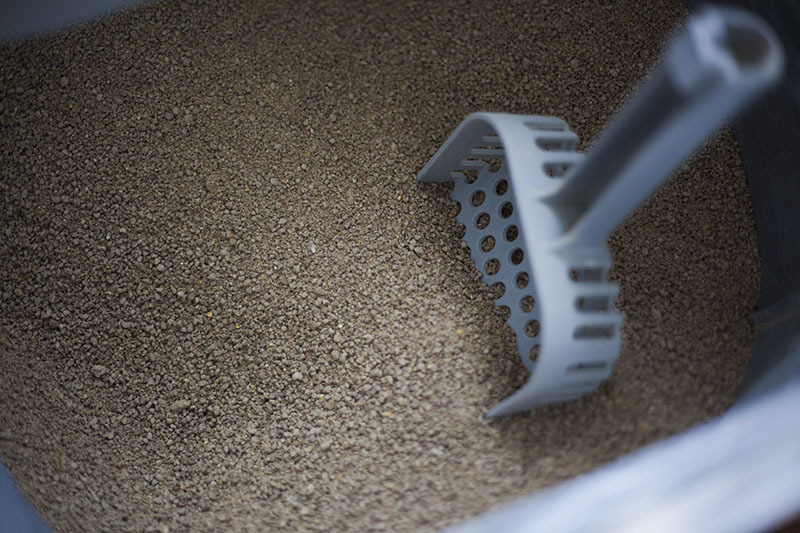 The best cat litter is a cat litter you don’t think about. 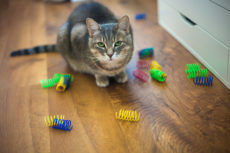 If you find yourself fretting over the fact that your litter isn’t clumping, that your cat’s #1s or #2s are especially stinky, or that there’s kitty litter all over your house, you’ve got yourself a bad cat litter on your hands. 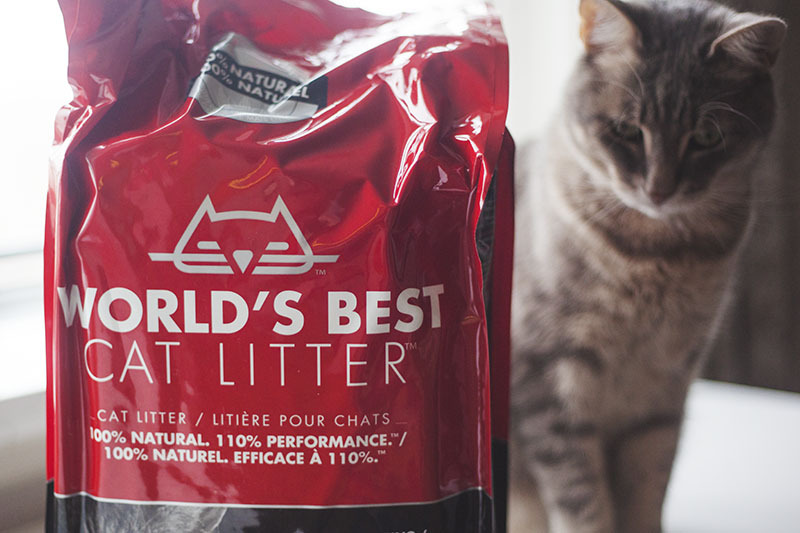 Now the World’s Best Cat Litter isn’t a perfect litter, but that’s not really on them. 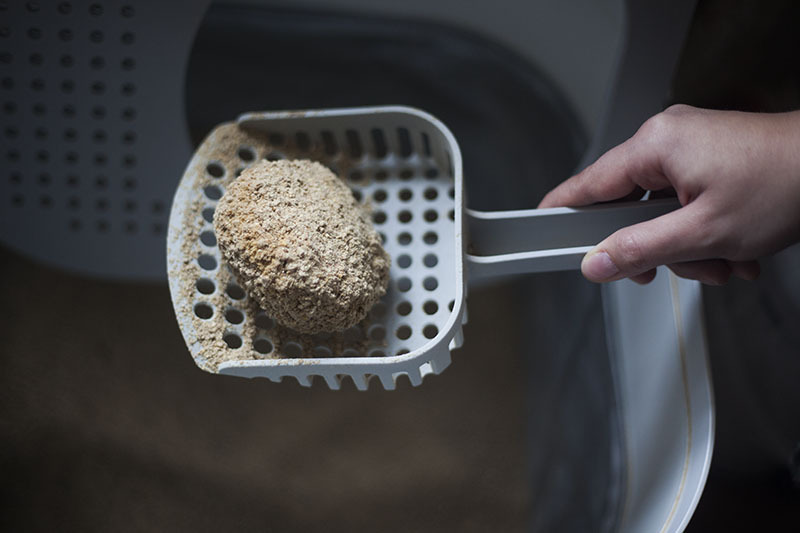 I don’t think there’s a perfect cat litter out there, honestly speaking, or nearly everyone would be using it regardless of the price (okay, within reasonable limits of course). But as far as cat litters go, I daresay this is one of the top three I’ve used, if not the best altogether. There are some things that it doesn’t particularly excel at: namely, covering up the smell of #2s and tracking a little more than some of the other cat litters I’ve used before, but if you’re okay with those two slights, you’ve honestly got a great litter on your hands. Let’s start with what World’s Best is the absolute best at: clumping. 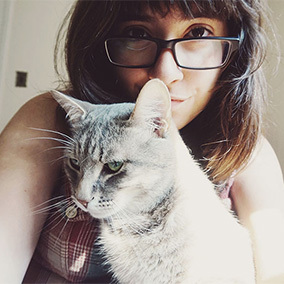 A cat litter that clumps well is very important to me, whether I’m flushing my cat’s business down the toilet or not. Why? If I can get all the cat pee out in as close to one solid clump as possible, well I waste less time cleaning up the litter box, sure, but this isn’t the main reason. The main reason is that it keeps the rest of the litter clean, and for me, that’s incredibly important. Not only for being able to wait really long periods of time before having to dump out the entirety of the cat litter and starting the cat litter fresh from scratch, but because, honestly, if my cat decides to pee 2-3 times while I’m out (unlikely, but he has done two pees in a row before; guess he didn’t know he wasn’t done), I want him to be able to find a clean spot to do it in, and that’s not so easy if the previous pees didn’t clump nicely. 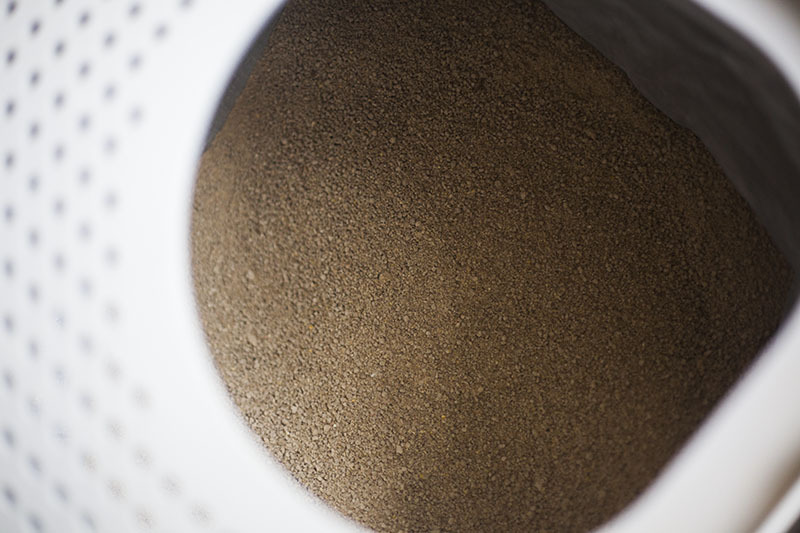 With the World’s Best Cat Litter, you have to wait for the kitty litter to clump. 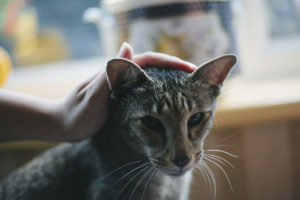 Don’t expect your cat to go, for you to immediately start scooping, and yet have everything be dandy. The pee has to dry up, and then it’s usually in one very solid clump (two if you wait just short of long enough, cause then often the pee clump splits nearly cleanly in half). Wait no time at all and it does fall to pieces, but that’s on you and not the litter. The previous cat litter I used (Blue Buffalo Naturally Fresh Multi-Cat Litter, in case you’re interested) was walnut based and never used to clump this well. 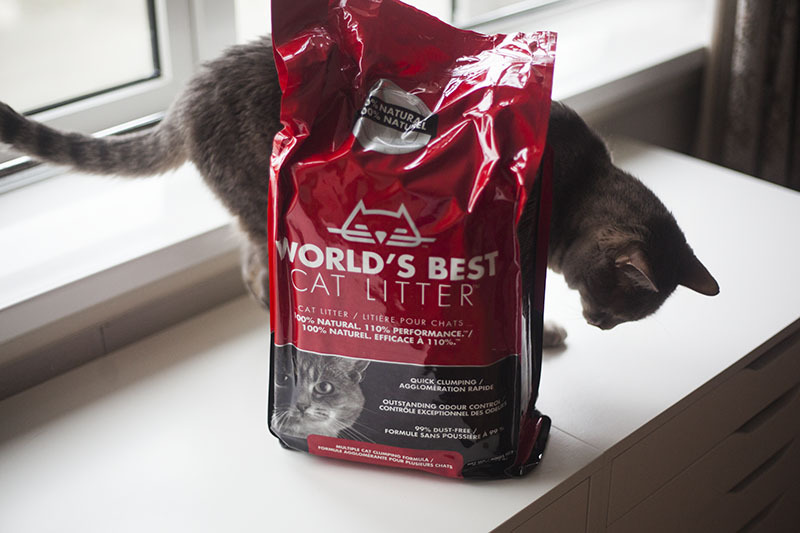 Yes, it did a pretty good job clumping, and it was a fantastic overall litter, but there’s no comparison to the clumping action you get with World’s Best Cat Litter. 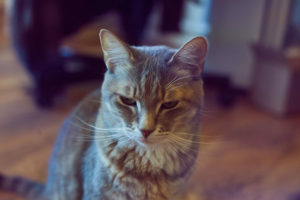 I had to switch, by the way, because I can’t get any Blue Buffalo products at a reasonable price here in the UK (sad especially because I was using both Blue litter and Blue cat food back in Canada – downside of moving continents with a cat is having to find new staples I guess!). Here in the UK, Blue products are outrageously priced if you even can get a hold of them at all – makes sense since shipping heavy items like litter and cat food from the States to the UK isn’t particularly cheap. 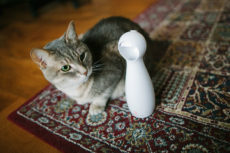 Before I started this cat blog, I didn’t have much reason to switch my litter on a whim since I really liked my old cat litter – and if something was working for me then (very little did in the cat toy department, so I frequently tested there) I certainly wasn’t going to change. Glad I found World’s Best Cat Litter not too long after my move here, though, because I was having a terrible run trying litter after litter when we first moved. 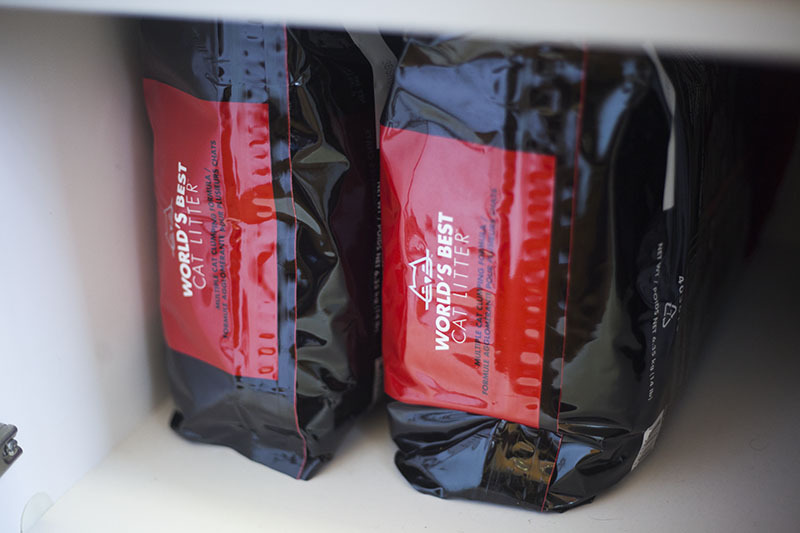 Finally landed on World’s Best after two really poor attempts at finding a cat litter I liked – and am so glad it didn’t take longer. When it comes to tracking, walnut cat litters I’ve found are the best. So yes, sorry World’s Best – tracking isn’t your forté. The tracking is honestly not too bad. Combining the World’s Best Cat Litter with my Modkat Litter Box (reviewed here) makes it so that clean up after Avery is pretty rare – every couple days just because my crazy kitty happens to leap out of the litter box at times; infinitely better than I used to have to do with a standard litter box (after every use). 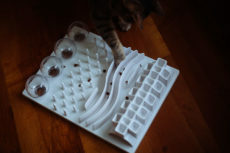 This litter with a standard litter box wasn’t fun – but then again, that’s true of nearly any litter (besides the walnut types) with the standard litter box. Yes, I’m picky. 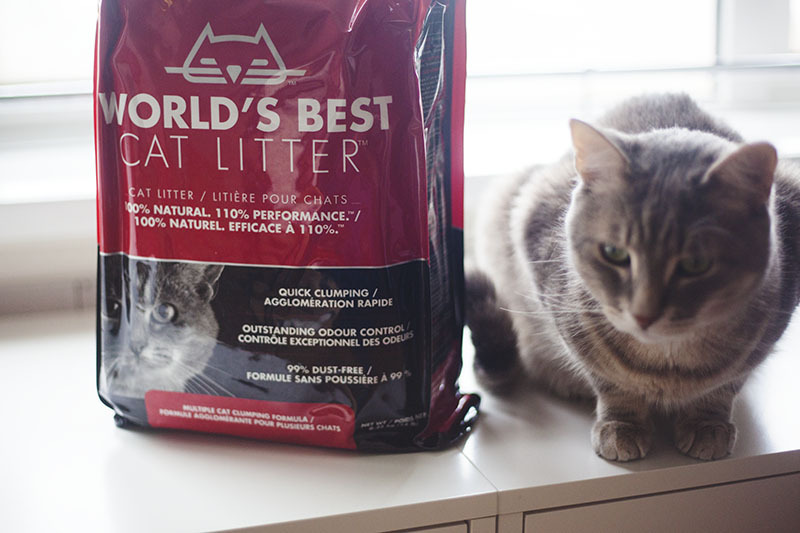 World’s Best Cat Litter is also ungodly good at absorbing pee smells. I’m not even exaggerating here, I barely remember what cat pee smells like. Crazy, since honestly, back in the day when I used the walnut litter in Canada, I remember insisting that cat pee smelled so much worse than any cat poo could ever smell. Nowadays, I have the vague memory of what cat pee used to smell like, but I just can’t remember smelling that scent at all in months. Amazing feat since Thomas and I live in a studio flat where we also work full time and have Avery’s litter box (we moved the litter box from the washroom long ago, since Avery’s a pretty aggressive digger, and we didn’t want to bother the neighbours since his digging can likely be heard by them through the vent in the washroom). It’s nice to not have to deal with terrible cat pee smells whenever your cat has to do a #1. I remember the walnut litter I used to have being better at absorbing cat poo smells, though. These are a little on the stinky side for some reason, but honestly, I don’t mind knowing about those considering the smell notifies me quickly that a #2 has been done and that way I can rush to clean it out faster than if I’d not known there’d been a poo. 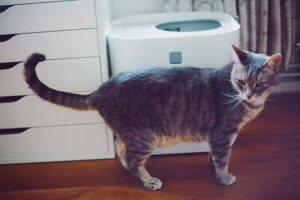 Of course there are differences in the environment that would effect my smell radar – I used to use a covered litter and now I don’t, Avery sometimes doesn’t completely cover up his poo (obviously when he covers up it smells a lot less, but you can still smell it). Do I think these influence my impression of whether the #2s are more smelly with World’s Best vs a walnut litter? A little, yes, likely. But I do genuinely think walnut litters are a little better in that department, even taking into consideration these differences. Would love your opinion if you’ve tried both types, though, because your experience may be more telling. Would I use any other litter? Possibly. I might switch back to a walnut litter once I live in a house. 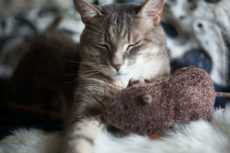 But in a confined space where I share the same room as the cat litter constantly – doubt I will switch period. I think that even if I do switch back to a walnut litter for a brief time to test out and for less tracking, I feel I might find myself completely annoyed about the fact that cat pee smells terrible, that the walnut litter stains cat fur because it’s so dark, and that I have to clean up anyway since it doesn’t get rid of tracking altogether, and then I’ll just end up straight back with World’s Best. Anything is worth a try, but I’m glad to have this cat litter as a backup that I know I can count on to go back to. Affordability I’ve seen some complain about, but I honestly don’t think this litter is expensive. Like I said, because of how well it clumps, it rarely if ever needs to be completely chucked out and replaced. Basically, there’s a gradient. 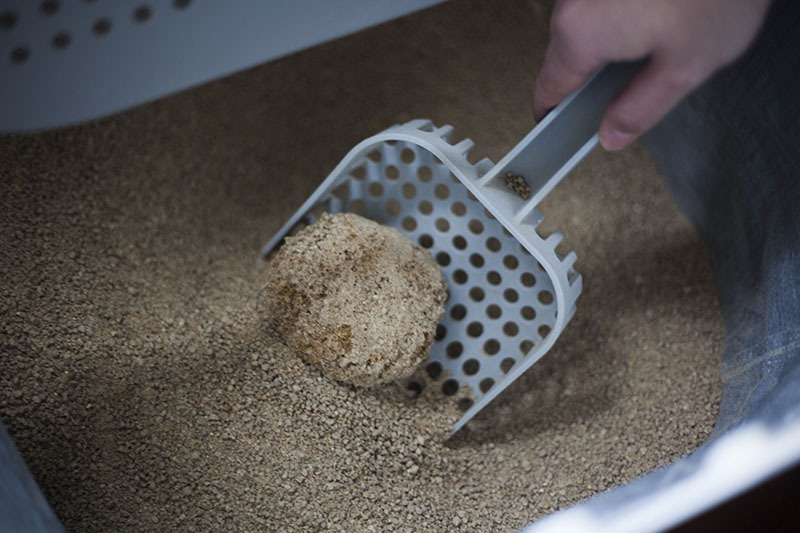 On one side there’s wood chip cat litters that are really cheap, like the Cedarific Natural Cedar Cat Litter – those smell in no time at all because they’re not meant to clump, they just absorb cat pee and expand and so it’s hard to even know which ones have cat pee or not in them. They’re terrible in my opinion, and honestly I couldn’t even bare to use these types of litters for more than a couple weeks without being driven crazy. 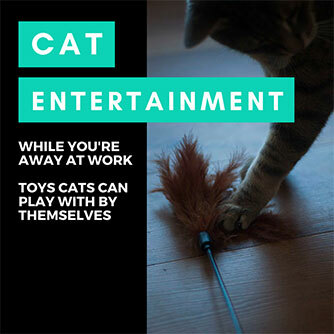 In the middle is some average clumping litter, clay ones like the Precious Cat Clumping Litter. These are okay, and possibly best for your buck, I don’t know. But the litter has to be chucked out and completely replaced a lot less frequently than the wood chip kind. I could live with this type of litter if I absolutely had to, but I would really rather not (again, I’m picky, yes). On the pretty damn good end is walnut litters like the one I used to have. I’ve found these do need to be chucked out and replaced once in a blue moon, but it’s honestly not too bad at all. You likely aren’t going to get much smell out of them. But the best by far I’ve ever used in terms of smells and lasting the longest – 100% World’s Best. Not sure if other whole-kernel corn litters would fare as well as World’s Best in these departments, but I haven’t yet bought another one to try. Either way, I don’t think this lack of smell over time is common. 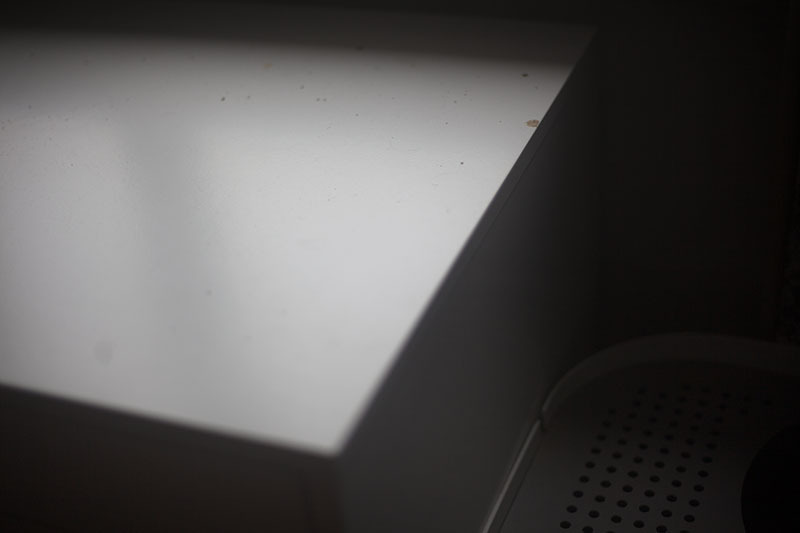 I remember the old litter needing to be replaced completely every 6 months or so – it’s been roughly 7 months and the litter doesn’t stink one bit more than the first day I put it in. 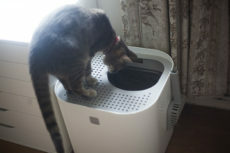 Part of it is definitely due to the fact that I use the Modko Modkat litter box now, and didn’t back then. 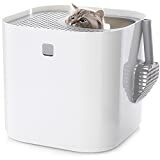 It allows me to put a lot more litter in which means the pee doesn’t reach the lining of the litter box, and thus doesn’t make the box itself stink over time. 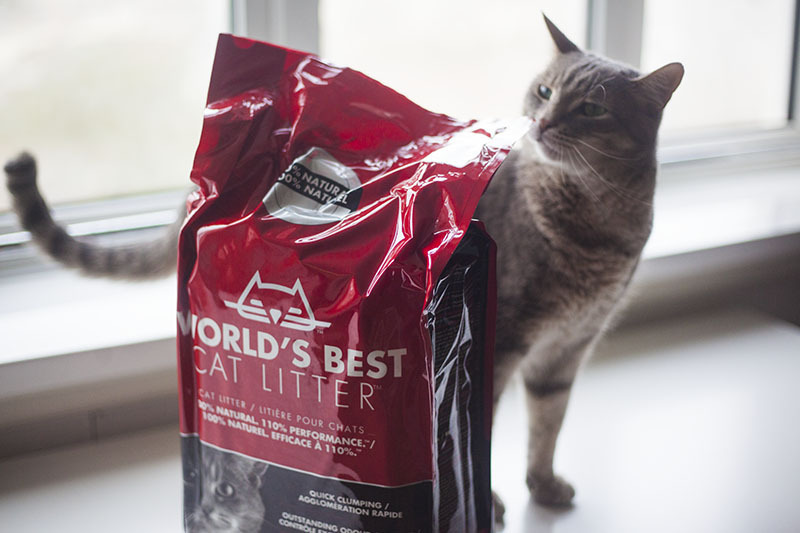 But I think there’s more to it then that – I definitely think a huge part of the reason the litter isn’t stinky over time is thanks to World’s Best Cat Litter. Why? It’s very obvious to me what has been contaminated with pee and what has not. You work a little harder to get some of the small pieces of litter that have strayed from the main clump because you jumped the gun and tried to scoop out cat pee when it wasn’t completely dry, and it takes a little time, yeah, but it’s totally doable. Not true of the stray-aways in walnut litter (walnut litter is made of bigger pieces that aren’t all the same size, and like I said, it just doesn’t clump quite as well), and not true of any other litter I’ve used before. Pretty damn great perk of this litter if you ask me. So since I don’t have to chuck away my cat litter frequently if at all with the World’s Best, I’d argue it’s honestly good value for money. Also seems to take a lot less litter to clump cat pees in general and not very much comes out with the cat poo when you scoop that away (sorry for the repeated gross visuals, but it’s the topic of discussion after all…). Worth the money? For sure yes for me. And honestly there are ways to keep costs down if you have a house and are able to purchase really big bags of litter (I haven’t really got the space for them in my small flat, so I stick to the 6.35 kg bags). Whether or not the cost is worth it is ultimately up to you, but I wouldn’t hesitate to give this litter a try if it’s at all anything you’re curious about. If you don’t feel it lasts long enough to be worth the price, you can always switch back to your old litter. Experimentation with cat products is something I’ve always felt needs to be done if you’re at all dissatisfied with what you’ve got. While no product is absolutely perfect, there’s always a chance that there’s a better product out there for you, and if you find it, it’s a huge change in your and kitty’s quality of life going into the future. 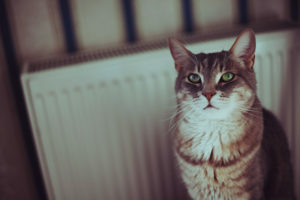 Though I’d recommend always keeping your standard on-hand when testing out new things in case you need to transition back quickly – this goes for food especially, since cats throwing up on new food/being allergic is really not uncommon. But in case you’re curious about how quickly I go through this cat litter, let’s do a little math. I bought 5 packs of World’s Best Cat Litter Extra Strength – 6.35 kg bags – and I have two and a half bags of the litter left. Bought the bags on July 31st, and began to use the litter immediately after getting them, so roughly 7 months time (less if you count the fact that it took a while to get here) that it took to use up 2.5 bags at 6.35 kilos a bag – I’m using roughly 2.25 kg of litter a month for one cat and will need approximately 27 kilos for a year’s supply of World’s Best Cat Litter for that single cat. Do what you will with that information; hopefully it proves useful. 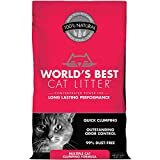 So in conclusion, World’s Best Cat Litter‘s excellent when it comes to: clumping, absorbing pee smells, being long-lasting, and honestly for me, affordability, considering the fact that a little goes a long way. It’s not quite good at tracking, though any litter of this type (small grain litter) is not ultimately as good with regards to tracking as bigger grain litter (like walnut litter or even those horrendous wood chip cat litters that I cannot stand). It’s not the greatest at absorbing poo smells, but considering #1 smells worse than #2, I’m okay with that. Would I switch? As I’ve said before – yes to try, but I may be hooked here. This may in fact be the World’s Best Cat Litter. Depends what you’re looking for in a litter, of course. As for whether I’m happy with the stuff: hell yes. And I’m not an easy camper to please when it comes to cat business. It’s by far the best litter I’ve ever tried. A shame that your cats have allergies to wheat products! Have to agree, it is very good. Will certainly be hard to beat, if it even can be. A caution on corn based litters: watch for moth or bug infestations. This used to be my preferred litter for our three cat household. It clumped well, and I liked that it was a more environmentally friendly litter than clay. It did a decent job with odor control. I used to buy several bags at once and dump them into a larger airtight feed container for storage. With three boxes and finicky cats, we used a lot of litter and this was easier than running to the store once a week. One day we discovered dozens of moths flying around in one of the litter box locations. After investigating, we found moth larvae in the litter box, and also inside the storage container full of litter. Apparently at least one bag had been contaminated with moth eggs, which meant they all got contaminated. This is a grain product, and if you’ve ever had a pantry infestation, it’s basically the same thing. We ended up throwing out all the litter, which was a waste. I’ve also tried the wood based, my house smelled like wet sawdust constantly. And wheat based, which one of my cats liked to eat, gross. And I was concerned about how another bug issue, so that didn’t work for a couple reasons. I broke down and went for basic and popular: Tidy Cat ultra light. The odor control was super, but one cat was allergic to it and sneezed constantly. We finally settled on Dr. Elsey’s Precious Cat. One cat got weird about using the box in his old age. 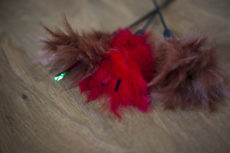 The Cat Attract version was incredibly helpful and he went from multiple accidents a day to once every few weeks. He’s no longer with us, but we have continued with the brand (switched to the Touch of Outdoors, it’s a little less expensive) because it works for the other two, and I have no good reasons to go back to the others. Thank you so much for this advice, Melissa! “If you’ve ever had a pantry infestation, it’s basically the same thing.” That’s the perfect way to put it! As of now I’m buying separate bags, keeping around 5-6 of them in storage, and opening one at a time as I need the litter, so that in case contamination happens, I only have it in my litter box and in the one bag that had it. And yes, I inspect before pouring into my litter box. To me it’s still worth it to use at this moment, especially as it seems that while contamination is terribly annoying, it is also rare. If I have to chuck out one bag, no big deal. I agree that going to get litter often is terribly annoying, so I stockpile for sure, but I’d rather do so in the original bag and not transfer to a new storage container anyway (also since it’s heavy and boy must that have been a pain for you to transfer all into one box!). 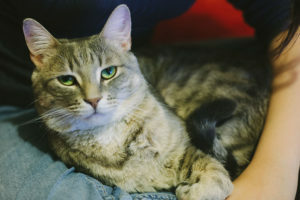 I think, especially for the purposes of this blog, that I’ll be trying new litters to review in the next year or so, once we make our next move. Thanks for recommending your litter, because I’ll definitely have it on my list to try now that you’ve mentioned it. Let me know how the Modkat Flip box goes for you. It was quite literally my second option for what to buy, before I finally gave up and decided to get the Top-Entry one from them (it was just uncanny how perfectly it matched my furniture!). They make such gorgeous products, love them so much! 🙂 Can’t imagine you won’t be happy with the Flip. I changed to a better quality cat food and their poo isn’t stinky any more. I’ve used World’s Best for five years and love it! I love it too ! 🙂 On my end, changing the cat food significantly helped. Still a little stinky, but not anywhere near as bad – except on the occasions my Avery doesn’t cover up his business ;). Oh that’s interesting! I will look this up, didn’t know about it! I like scent of lavender personally, so long as it’s not too artificial smelling, so that would work really well for me I think! Thanks so much for taking the time to leave the suggestion! Great review – very descriptive and informative. 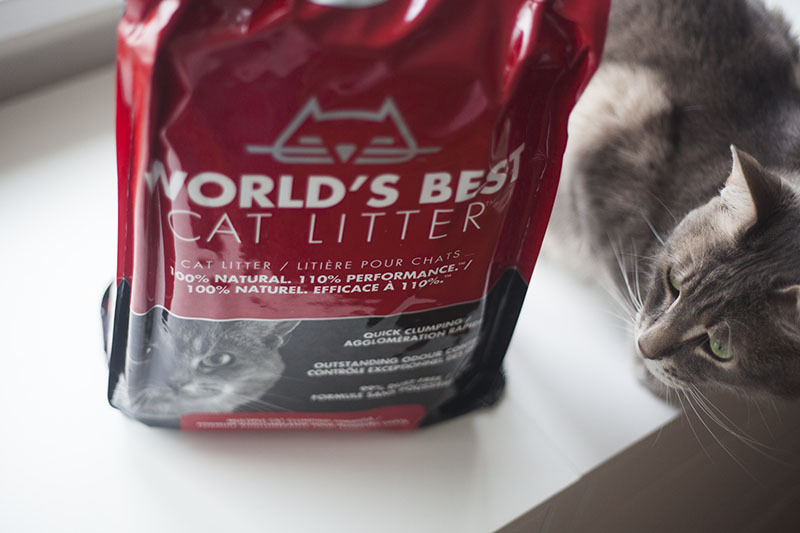 I’ve been curious of this litter but haven’t tried it because it’s just too expensive. 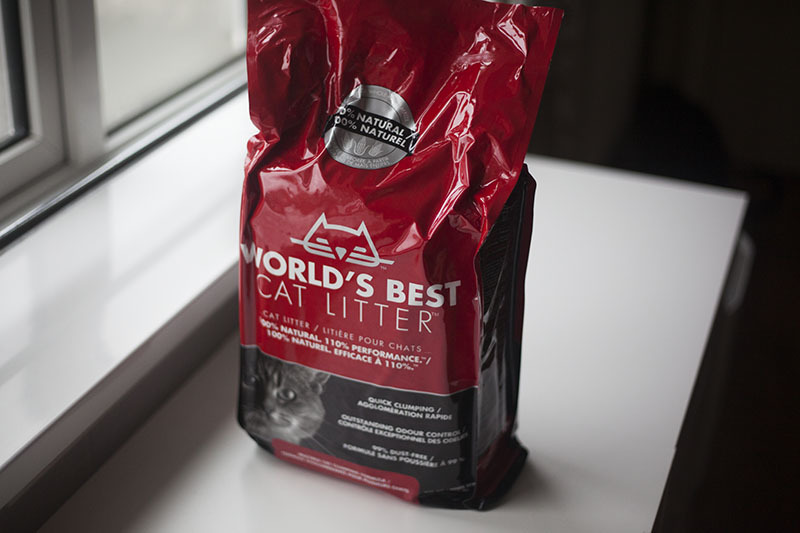 With 6 cats, we go through litter pretty quickly, so I unfortunately have to keep costs down by using a more affordable litter. We use the unscented Arm & Hammer and like it pretty well, but I would love to use a more environmentally friendly litter like this. Maybe one day when I’m rich and famous! 😉 Thanks for sharing about your experience with this litter. Glad to hear the unscented Arm & Hammer litter does the trick well. Always good to have options – especially for when we do have more cats, and thus need a lot more litter than we currently use up!